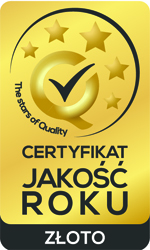 The fight for the Quality of the Year 2017 Certificate has ended with a great success: as the only clinic in Poland, we obtained “The Quality of the Year: Gold” statuette in the category “Service: plastic surgeries”. The competition promotes companies and organizations that pay special attention to maintaining the highest quality of services. 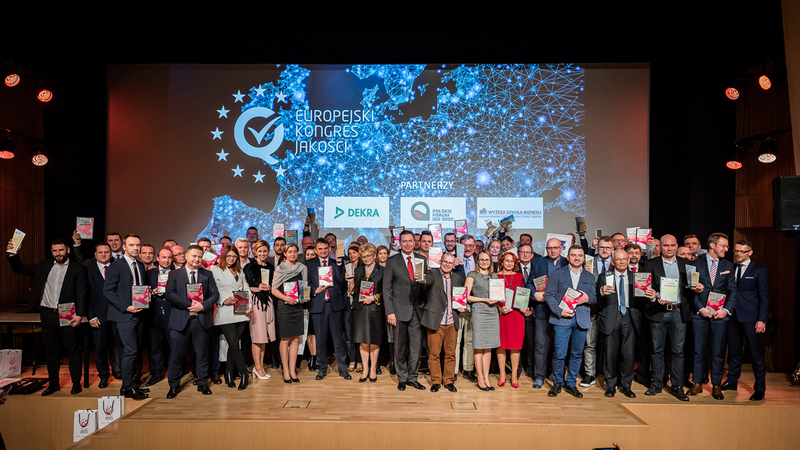 “Future of Quality” – this was the promoting name of the event by the European Quality Congress, during which we had the honor to receive the statuette. 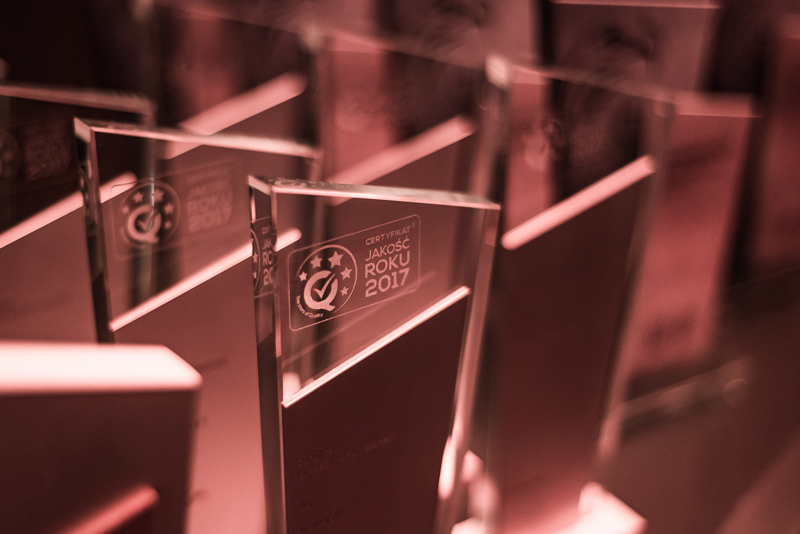 The QUALITY OF THE YEAR 2017 certificates were presented by the Jury assisted by Jakub Mielczarek, the secretary of the Lodzkie Voivodship. What does this mean in practice for our current and future patients? First of all, it ensures that care for safety and comfort is not only words, but also activities: many years of work on maintaining service standards and attention to every detail of service. The certificate promotes companies with the best pro-quality solutions, is awarded on the basis of a multi-stage assessment and audit and it is recognized all over the world. 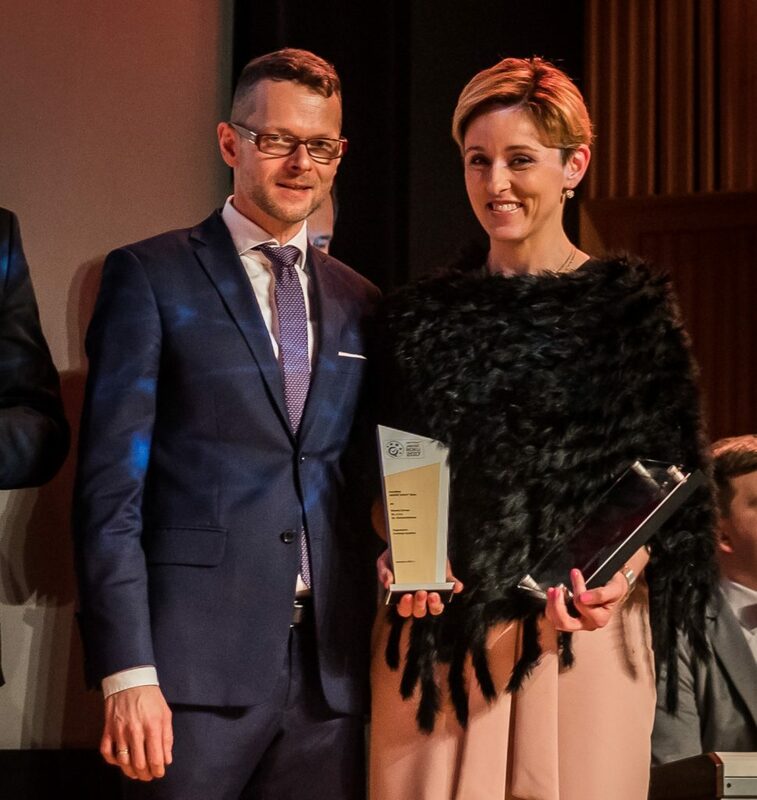 The final ceremony took place in Łódź, and the representatives of business and science that took part in the event had an excellent opportunity to share their knowledge. The substantive meeting of practitioners was aimed at looking at the concept of quality in Polish companies. The inaugural speech was conducted by Dr. Mateusz Grzesiak- an international business trainer. The guests learned what Poles expect from products and services, how the mentality of a certain nation manifests in the ways of running a business. Subsequent speakers and practitioners continued the subject, taking a closer look at the quality and ways to maintain high-quality services. A new project was also presented: “European Quality Certificate”, which supports Polish entrepreneurs in the fight for the position of Polish brands in the world.